Planning for an event that is inspiring and memorable? You have come to the right place. 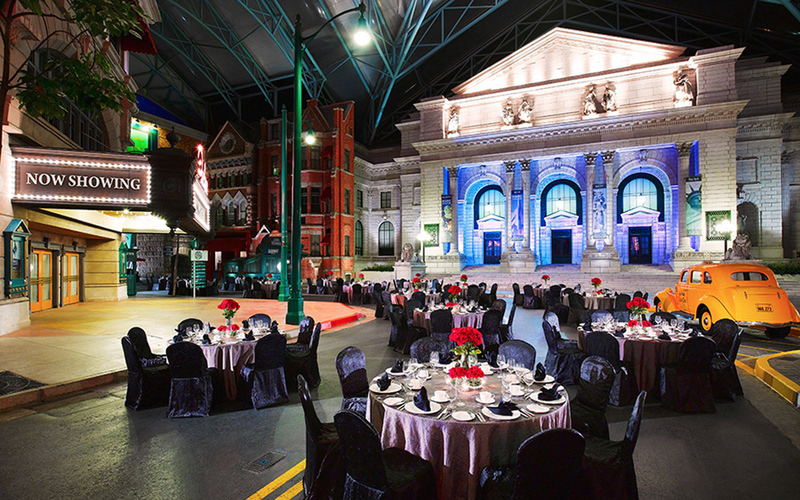 Universal Studios Singapore, a one-of-a-kind movie theme park, will make your events spectacular. Every event can be customised to meet your needs, including unique menus, ‘live’ entertainment, as well as exhilarating attractions such as Shrek 4-D Adventure™, Revenge of the Mummy™, Transformers The Ride: The Ultimate 3-D Battle and many more. Any event held at Universal Studios Singapore immediately transforms the ordinary and becomes an unforgettable and exciting experience. Go beyond the screen and jump into the action of your favourite films and TV shows at Universal Studios Singapore. Customise any event with an amazing array of rides, shows, movie sets, and attractions like TRANSFORMERS The Ride: The Ultimate 3D Battle, Shrek 4-D Adventure, Revenge of the Mummy,™ or Jurassic Park Rapids Adventure.™ Each event can be tailored to meet your needs, including unique menus, live entertainment, and all-night excitement. Buy out a themed restaurant or zone, or even the entire park for a massive party! Any event held at Universal Studios Singapore immediately transcends the ordinary and becomes an unforgettable night of movie-themed excitement. Make your next business event one to remember by hosting it as a Street Party at Universal Studios Singapore,™ Resorts World™ Sentosa! When the sun comes down, the entire New York Street zone in the theme park is available for your exclusive use. Your guests can Meet & Greet with selected Universal Studios Singapore characters, enjoy a sit-down dinner and even experience the Lights, Camera, Action!™ Hosted by Steven Spielberg attraction for their entertainment.